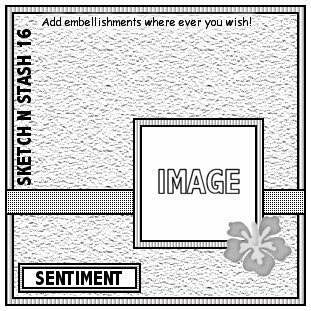 Another fortnight has flown by and it's time for our next Sketch N Stash Challenge. 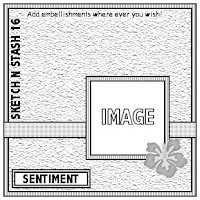 I used one of their stamps for my card and decided to go with a vintage theme as well as this fortnight's optional theme of 'Monochromatic' although I did change the sketch about a bit. I know my image may look partly pink but trust me it's brown, obviously my scanner doesn't like it! 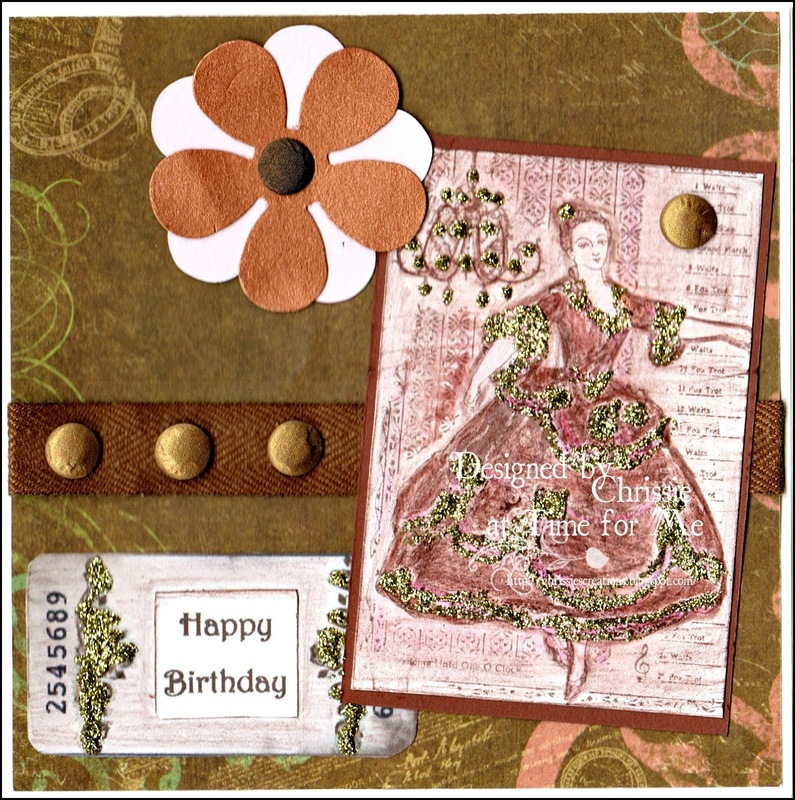 It was my turn to choose the Top 3 from our last challenge, so don't forget to pop over and check out whether I chose your card or if you were our lucky winner. Our fabulous DT have yet again come up with some real little beauties to inspire you. Funny how cameras change the colours sometimes - it's a great vintage image and a lovely card. Beautiful card Chrissie, I like image, the papers and the flower. Awesome card sweetie and gorgeous layout.